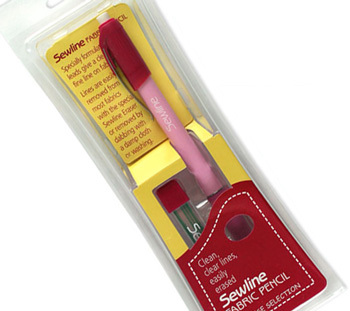 I’ve just added a new product to the Vetty Creations website: Sewline fabric pencils. This fabric marking pencil is much better for marking fabric than a normal HB pencil and a fabric marker pen (texta). Why? It has ceramic lead that is designed to be easily removable from fabric. It washes out easily and rubs off using the included eraser. It does not sink into the fabric in the way that a marker does, and it won’t bleed as markers sometimes do. This wash out/erasable fabric pencil is perfect for all your embroidery marking needs. 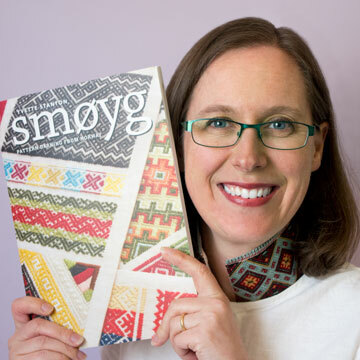 I use mine regularly for any embroidery where patterns and lines need to be marked on my fabric, such as Mountmellick embroidery and Portuguese whitework. Because it washes out easily, I never need to worry that I’ll be left with ugly line markings on the finished embroidery. Replacement leads in other colours (grey, white, yellow, pink) are available, however we do not yet stock these. If you would like us to, please let us know. Sewline fabric pencils are available from the Vetty Creations website. I love these pencils and they DO wash out! They even erase pretty good! « Happy (late) left-handers day!